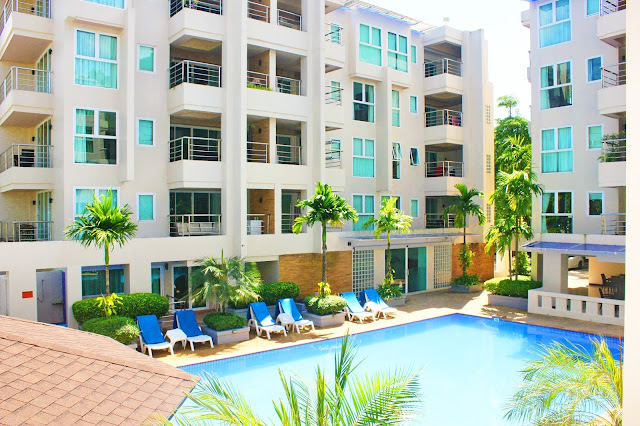 Come view this Modern, updated large 103 sqm end unit two bedroom one bath apartment available for monthly or long term rental. Located on the second floor with nice pool views just outside rear balcony. 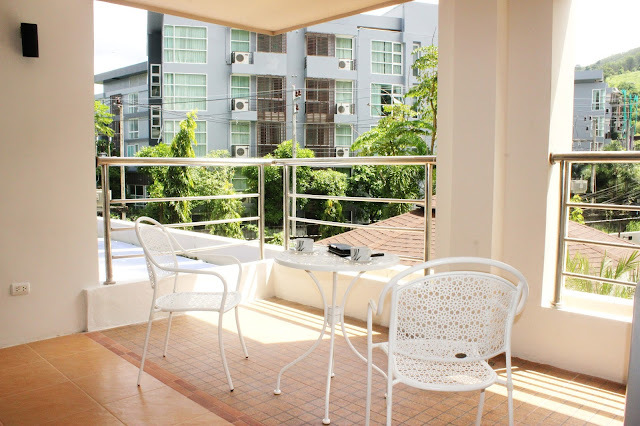 Large 16 sqm Balcony with high railing is great for entertaining guests with an additional 8 sqm on the other side. 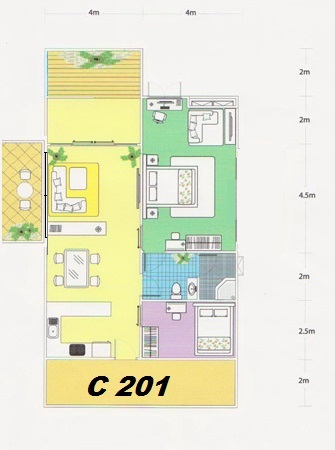 Unit is very light and bright in the living room area. 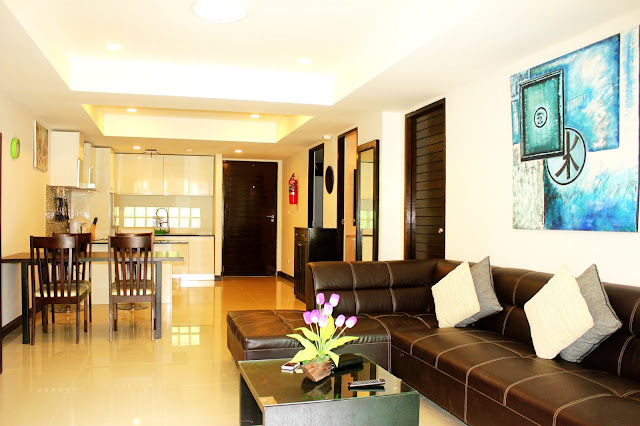 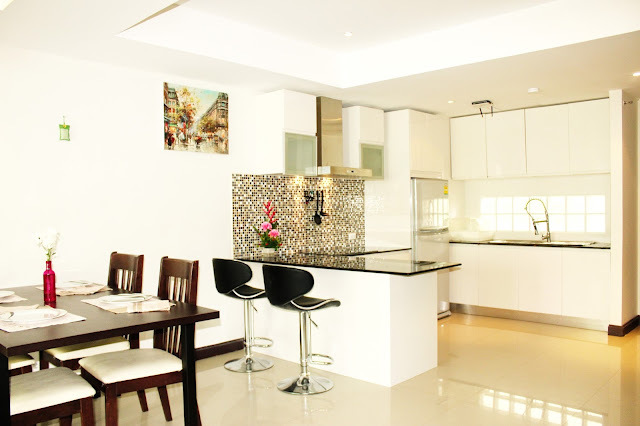 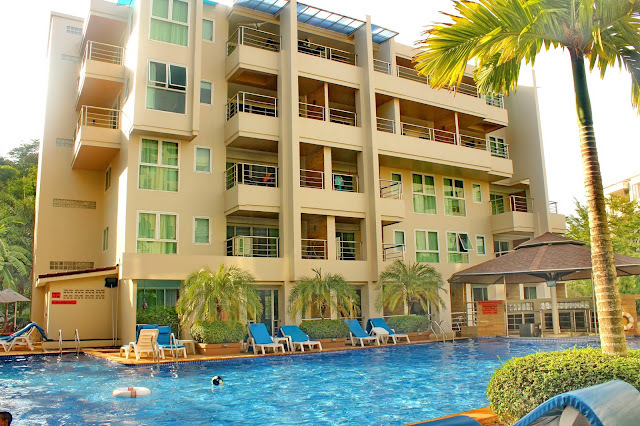 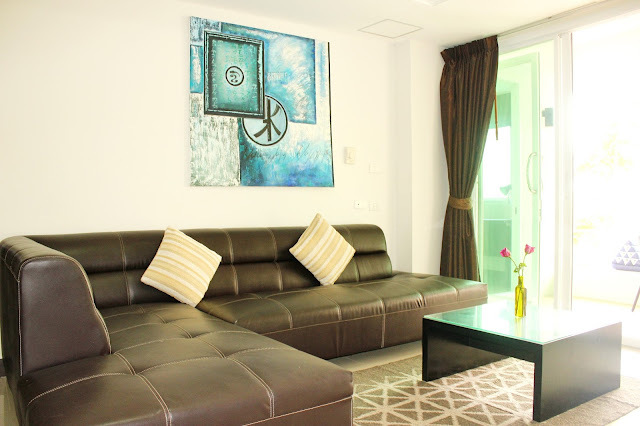 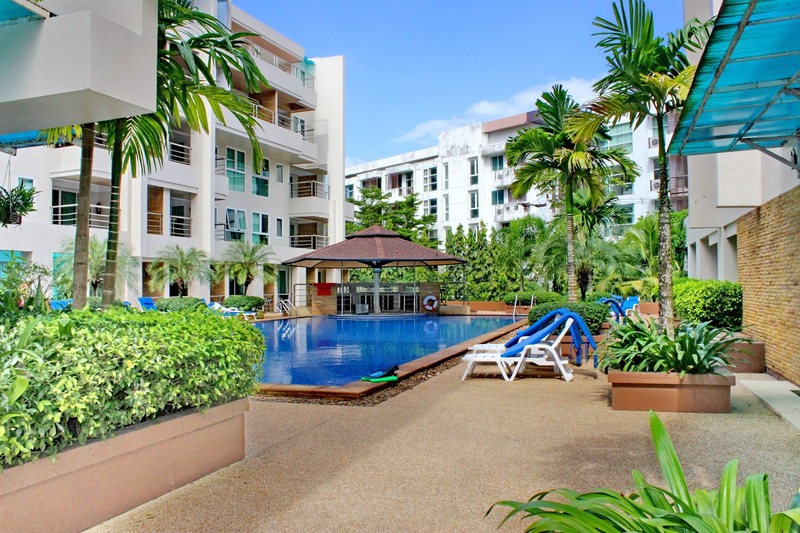 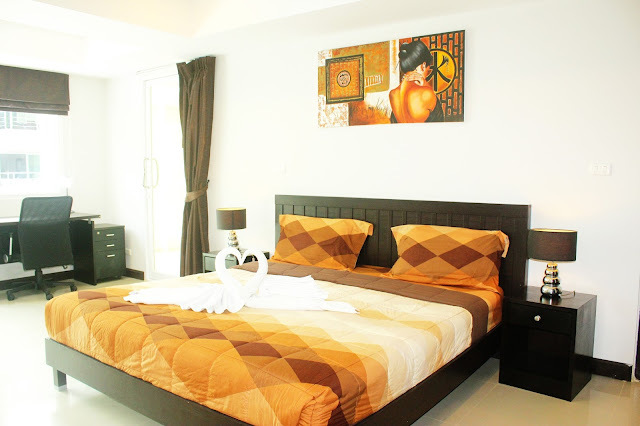 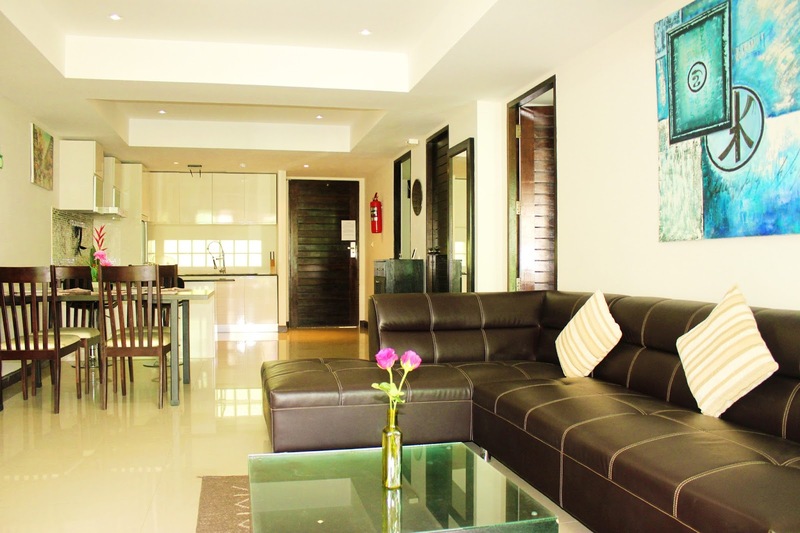 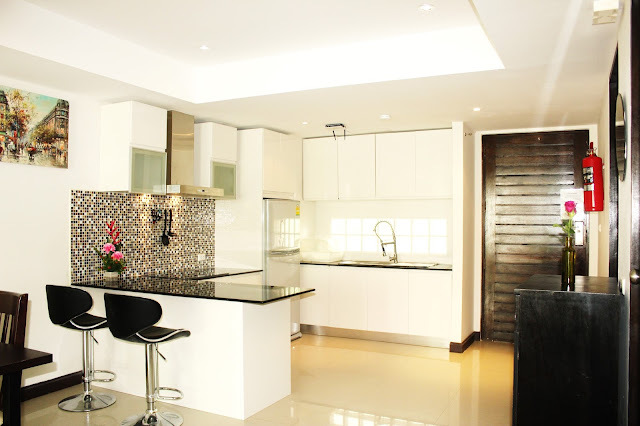 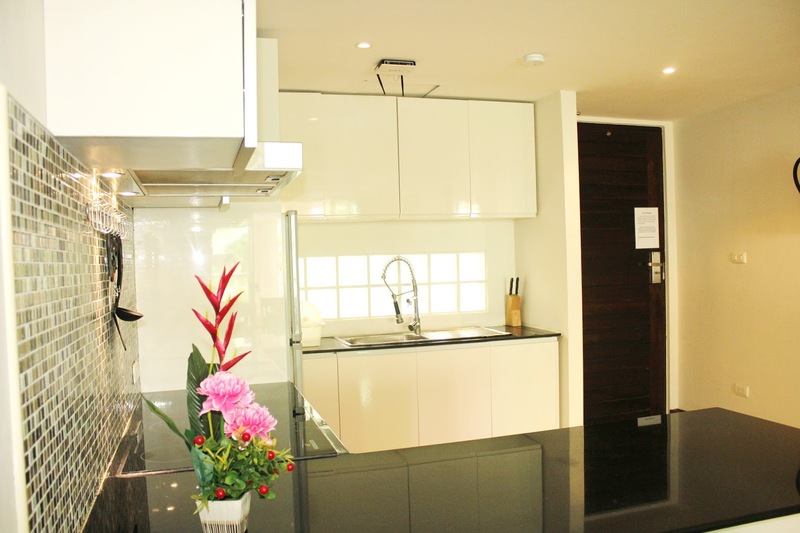 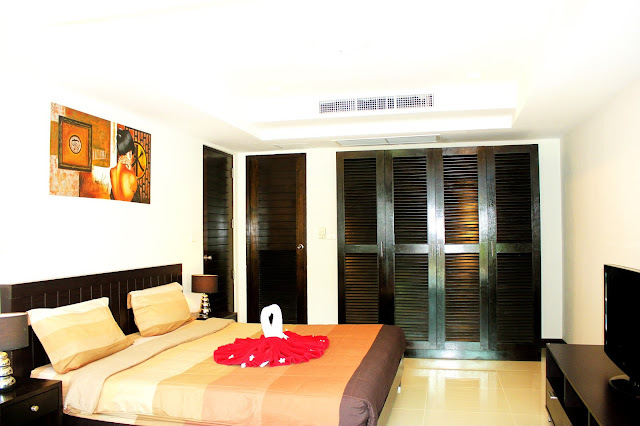 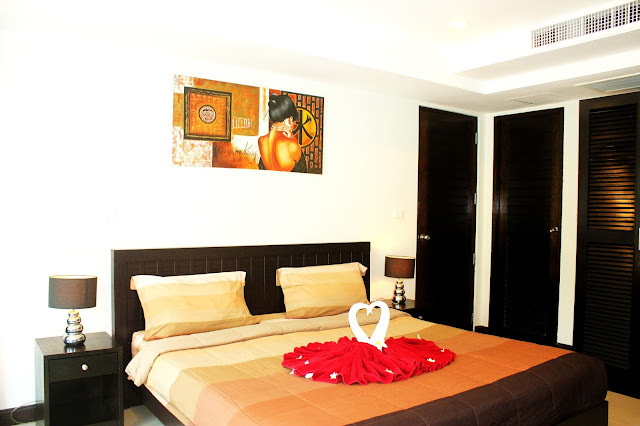 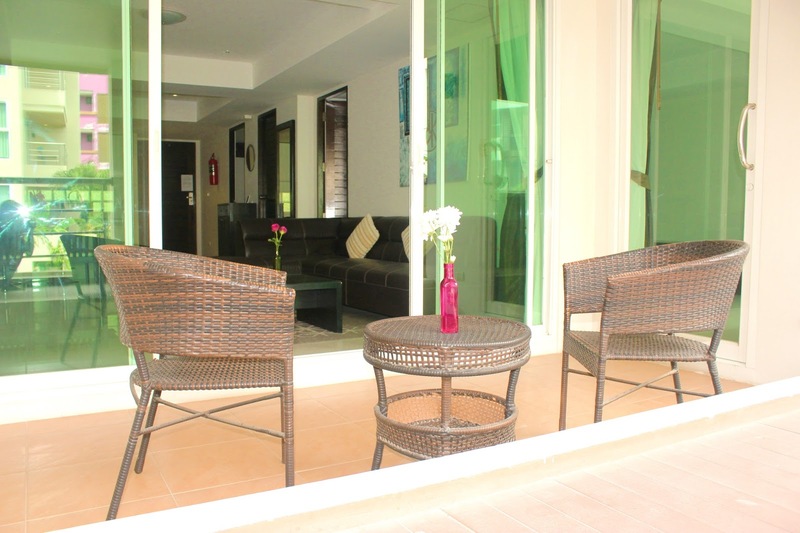 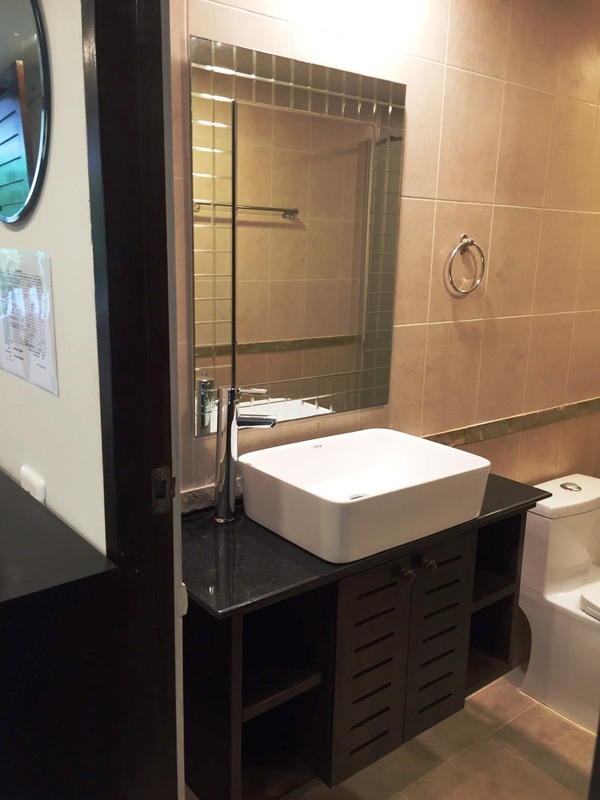 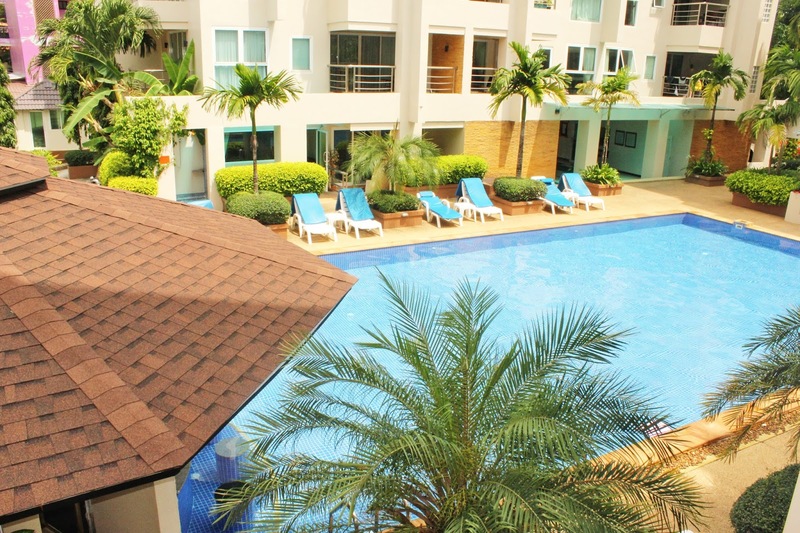 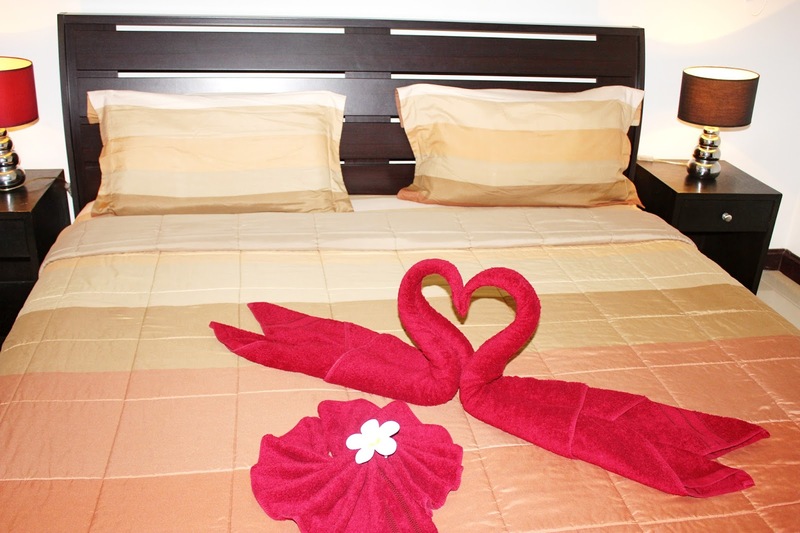 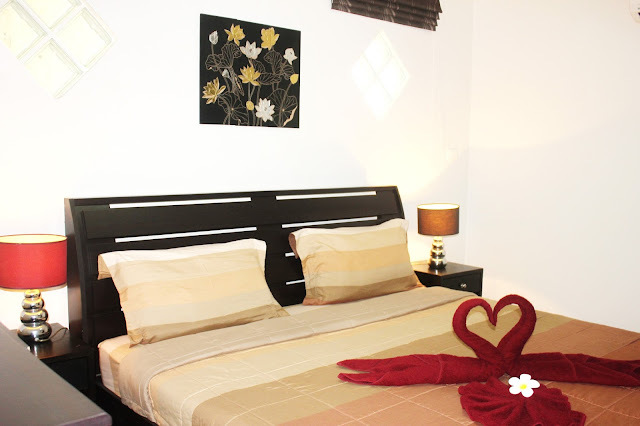 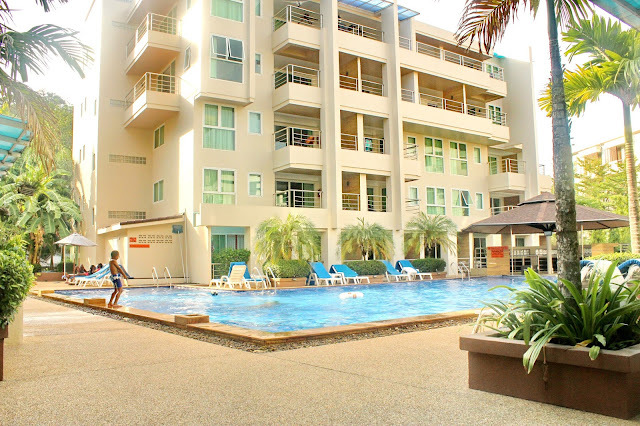 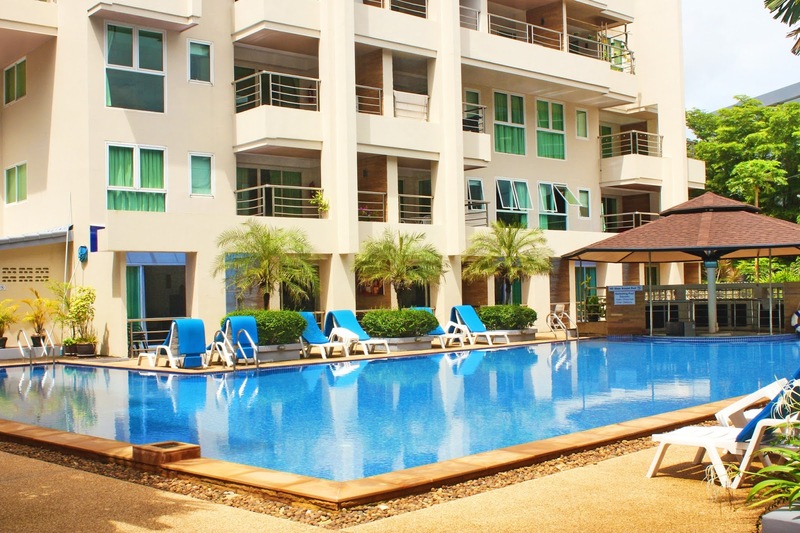 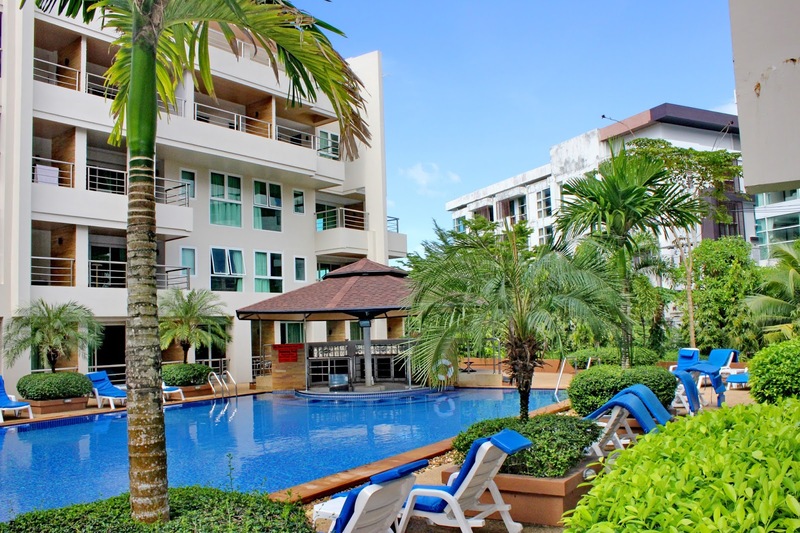 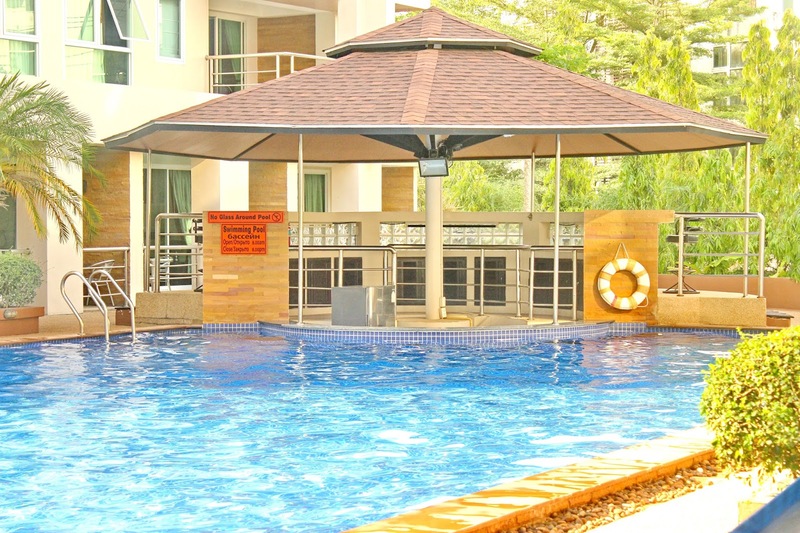 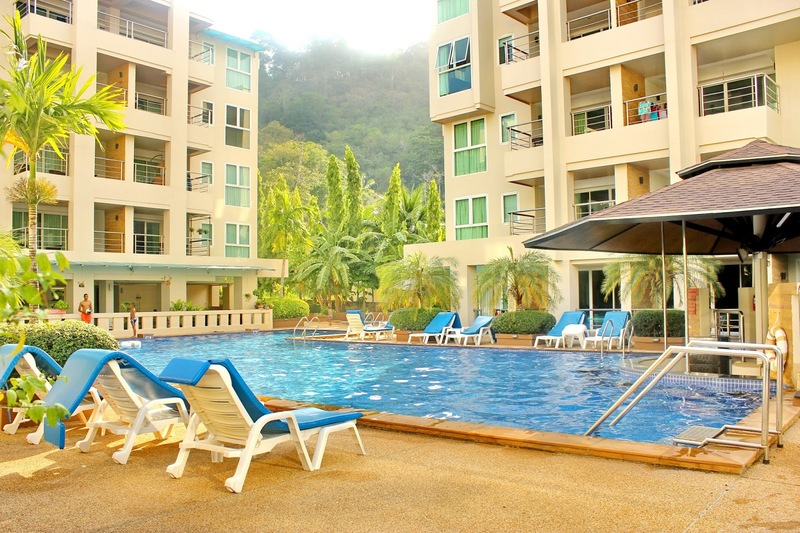 This unit can be rented short term for only twenty five thousand baht a month on low season contract (until Dec 1st.) 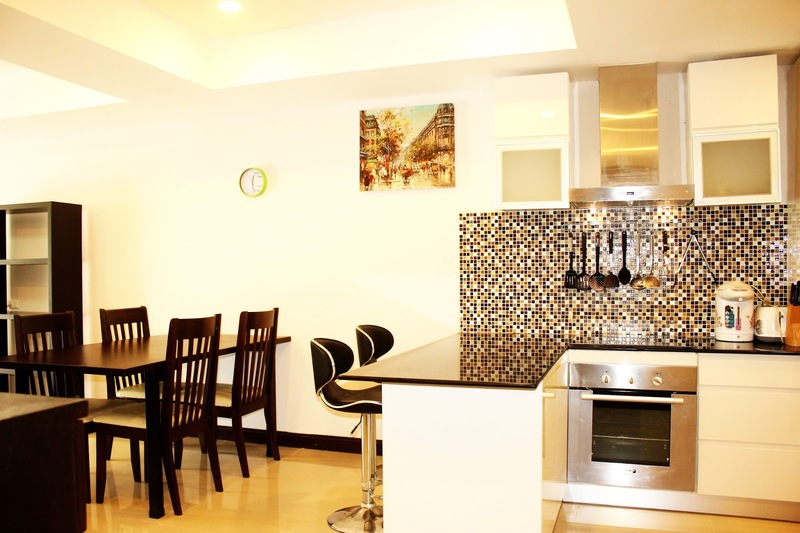 or Thirty thousand for 1 year rental with last month free on completed contract.